Calgary police say two suspects were arrested on Wednesday in connection with the suspicious death of a 34-year-old man in Hillhurst this week. The investigation began on Tuesday night, when officials blocked off a wooded area, at Richmond Road and West Hills Way S.W. The pair of suspects were arrested at approximately 7:00 p.m. that same day. 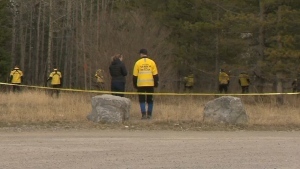 Police haven’t said anything about what exactly they were looking for in the scene, but confirmed to CTV that it is related to the investigation into the death of a man in Hillhurst. In that case, investigators were called to an alley behind the 100 block of 15 Street N.W. early Tuesday morning. When they arrived, they found a 34-year-old man suffering from multiple gunshot wounds. The victim was taken to hospital, but he later died. He hasn’t been identified. Police assured the public there is no risk to their safety. Residents who witnessed the large police presence on Tuesday evening were shocked to see how many officers had been called in. The scene is expected to stay blocked off for some time and police activity is expected to increase once the sun comes out. Officials say they are also executing a number of other search warrants across the city in connection with the suspicious death investigation. 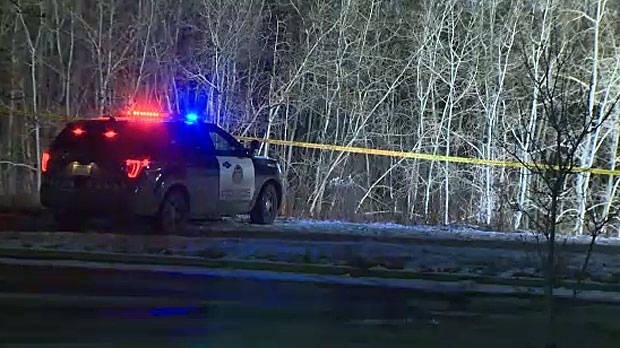 Police were brought to a wooded area in southwest Calgary late Tuesday night and say it has to do with a murder investigation that took place earlier in the day.